As MySpace, Kozmo, and the Chicago Tribune all learned to their chagrin, being first isn’t always best—but someone’s gotta do it. 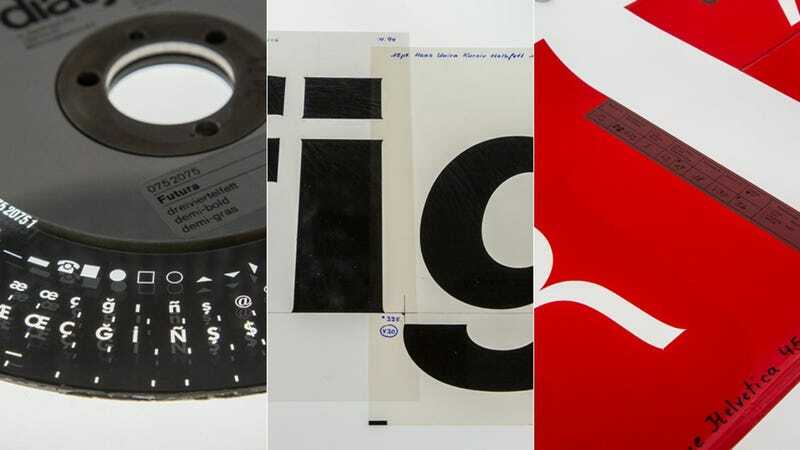 This week, at one of the most comprehensive typography exhibitions ever staged, we got to see some of the early technologies that predated digital type. The road from one technology to another is always filled with iterations—small steps that move us closer to the end goal. Typography is no different. Designers made the transition from hot metal machines (the big, noisy sort you see in old movies) to computers over the course of two decades, and the way was paved with dozens of different long-forgotten machines and techniques. Ever heard of Diatype? What about phototypesetting? Me neither. We have moved from hot metal letterforms, to photosetting into a digital realm of endless possibilities where hundreds of thousands of font choices are easily accessible and a diverse range of screens. This breadth of choice, coupled with the endless possibilities of ways and formats in which to appropriate these typefaces has transformed how we interact with everything from our friends and family, governments to advertising. Below, take a peek at how type was set just before the era of the pixel. This hot metal matrix case hails from the old era of hot metal typesetting. But after World War II, type designers began experimenting with ways to retrofit the old systems with glass matrices that fit within the same frame. It was the spark of an entirely new way to create type—using light, rather than metal and ink. The next major step forward was phototypesetting, an early way to set type without having to use an expensive, slow hot metal machine. First, a designer would create a photographic "master," usually by hand. Then, they'd expose the masters to light—a bit like you'd make a print in a darkroom. Here are the original photographic masters for Neue Helvetica, which were cut (by hand!) in 1983. The red masking tape is called Rubylith, and if you look closely, you'll see that the corners are slightly fringed—that's to prevent rounding as light pours through the negative space. See the odd puckers and distortions at the corners of these film positives or Haas Unica? Those are called "traps," and they were a necessary part of early phototypesetting. Because ink and light were hard to control, the type designer would build in extra space for both to spread out. As early computerized systems got more advanced, so did the photographic masters they used. See that little black tab at the top of each of these glass negatives for Linofilm Europa? Those are magnets, which let designers transport them through a filmsetting machine, which mechanized the process of setting type photographically. Here's another photosetting antique: a Diatype font master for Futura (aka Wes Anderson's favorite typeface). Using a circular glass plate, you'd select one character at a time using a trigger to send light through the glass, exposing the letter. The gun-like trigger gained Diatype the nickname "Duck Hunter." Finally, the computer (and desktop publishing) simplified the entire process. Typefaces were quickly converted into bitmap pixels—and suddenly, digital type as we know it was born.